Pokémon trainers have been striving to be the best from the lands of Kanto to Alola with many stops in-between. The celebration culminates with Pokémon day, which is Feb 27. That day is significant because that is the launch day of the games in Japan. Who knew all those years ago that Pocket Monsters would be the next big thing? 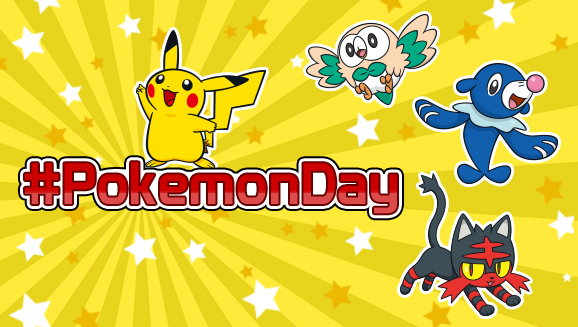 The celebration starts on the Pokémon web site where trainers can share their memorable moments by using the #PokemonDay to share the pictures. Pokémon Go is getting in on the fun as well. Any Pikachu found in the wild in Pokémon Go will be wearing a special party hat, similar to the Santa hat from the Christmas promotion in December. The Pokémon Center is bringing out the Gallery Figures collection on Pokémon Day as well. These figures are figures that capture the essence of attack for the likes of Eevee, Mew, Magikarp, and Pikachu. Everyone will be getting in on the celebration as the Pokémon TV app will be showing marathons of the best moments the anime has to offer. You’ll be able to re-watch some of the best Pokémon movies the franchise has to offer. Pokémon Trainers will want to mark February 27 off on their calendar as Pokémon Day so they know when to celebrate!